The Masters 2016 Preview - Will Murphy Continue His Magic? It's that time of year again as the 16 best snooker players in the world travel to Alexandra Palace, London, for the most prestigious invitational event on the calendar, The Masters. Can defending champion Shaun Murphy dominate once again? It may not be a ranking event but there is absolutely no doubt that this tournament is one of the most prestigious events on the snooker calendar and is definitely one all players want on their C.V.
Shaun Murphy was utterly brilliant last year when he defeated Neil Robertson in the final 10-2. It was without a doubt one of his best performances seen in a major final, and of course it was his final piece in the puzzle for the "Triple Crown" of three major snooker events (UK, Worlds & Masters). Murphy will be hotly tipped to defend his Masters title, however after completing the Triple Crown, it has to be questioned whether he has the same focus he had last year in trying to win the tournament. Neil Robertson is also one of the bookies favourites for the event, and it isn’t a surprise at all after his magnificent display in York for the UK Championship just before Christmas. His disappointment was evident after last year’s final and he will be looking to bounce back and win his second Masters title. If Robertson was to lift the trophy it would also be the second success of the seasonal Triple Crown with just the World Championships left to win in April. If you thought ‘The Masters’ was going to be exciting before, the announcement that Ronnie O’Sullivan is making his TV comeback this season at Alexandra Palace, makes it that extra special. The last time we seen ‘The Rocket’ competitively on our screens was his Quarter-Final defeat to Stuart Bingham at the World Championships. This week he will be aiming to create history as a sixth Masters win for O’Sullivan would equal the great Stephen Hendry’s record of six titles. It will be interesting to see how dedicated O’Sullivan will be and how much he will play for the remainder of the season as snooker is certainly better off with him in the draw. What about the other players? Mark Selby’s record in this event has to be respected and despite not being in top form he loves this event too much to disregard him winning a fourth Masters crown. Judd Trump is more than capable of putting a run together as is the two time winner John Higgins. His form has been blistering lately and it wouldn’t be a surprise to anyone if the Scot was lifting the trophy at the end of the week. World Champion Stuart Bingham and Ding Junhui have been two players struggling with form lately but what a time it would be to find form and lift the Masters’ Trophy. It promises to be a fantastic week and as unpredictable as ever and one thing is certain, whoever is The Masters champion in 2016 will undoubtedly have deserved it. What a match to kick off the 2016 Masters. Mark Allen’s form before Christmas was exceptional but a disappointing UK Championship has halted his form somewhat. Shaun Murphy’s cue action and long potting has him involved in any match and I except him to win his opening match however it will be tight. Great opportunity for both players to reach the quarter-finals. Joe Perry has gone up a level since winning his first ever ranking event and will have been happy when the draw was made. Barry Hawkins is more than capable of winning an event such as this; however he just never seems to have the belief he can win it. I feel a deciding frame which could go either way. Judd Trump will have too much here for Stephen Maguire. He is capable of blowing anyone off the table and I can’t see Maguire being consistent enough to knock Trump out. However he will be encouraged by the way Liang Wenbo knocked out Trump in the UK Championship. Tough opener for 2010 world champion Neil Robertson, however he is my pick for the event as he just playing the best out of all the top players and somebody will have to play really well to beat him. That said Marco Fu could be that player, but will definitely have to be on top form. Three time winner Mark Selby just loves this event and although he will have to improve his consistency to win it overall. However I think he will get off to a strong start here against Ricky Walden. Former International Championship winner Walden is one of the most underrated players on the tour, and I believe he could win one of snooker's "Triple Crown" events one day. Beating Selby could be the springboard he needs to greater things. 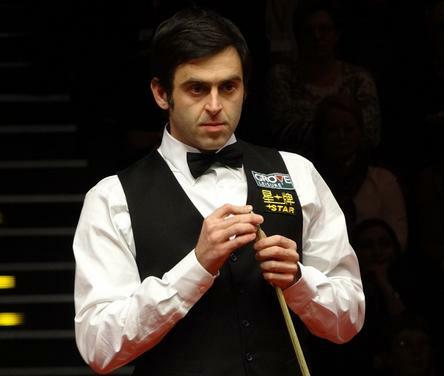 Great to see Ronnie back and in typical fashion he’s involved in the tie of the round. This time last season I think Mark Williams would have been favourite, but since the heavy defeat in the World Championship, he has struggled for form. The Rocket loves the big occasion, and I think he will get off to a flying start against the Welshman. John Higgins is rolling back the years at the moment. Three titles this season already and it wouldn’t be a surprise if it was four. If he had beat Robertson at the UK Championship I think he would have gone on to win it. Wenbo will be delighted to be here after his heroic effort in York but I can’t see anything other than a Higgins victory. This is hard to call. Both players are out of form compared to what they can do. I just don’t know what has happened to Ding Junhui. He’s probably been in the worst form of his life. Bingham has just relaxed since his World Championship win and that’s understandable as it was his life ambition. Bingham did win when the two played in Gibraltar before Christmas and for that reason I think Bingham will just edge it.